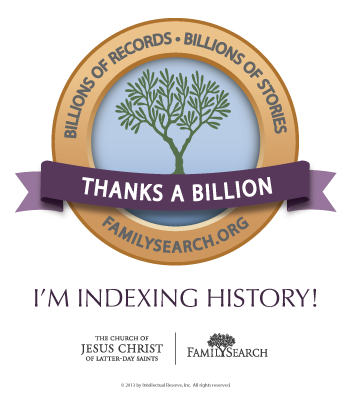 My 3rd great-aunt Lucina Ellen Belknap was the next-to-last child of Thomas Belknap and Polly Ann Farr. Thomas and Polly’s last child was my great-great grandfather, Arthur Belknap (1869-1955). 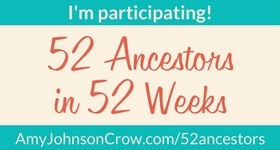 There were 5 other siblings: Zera (1853-1920), Myron (1855-1929), Alice Lucelia (1857-1944), Lucretia (1860-1900), and Thomas Jefferson (1861-1935). There was also a half-brother, Francis Marion (1848-1923). Lucina was born about 1866 in Delta, Fulton County, Ohio. In 1870, she was counted with the rest of her family in York Township. She was 4 years old. In 1880, she, along with her parents and brothers Myron and Arthur were living in Dover Township. On August 13, 1884, Lucina married John Quimby Clark in Morenci, Lenawee County, Michigan. In June 1886, Lucina’s brother Thomas married John’s sister Clara in Fulton County. Lucina and John had 9 children: Viola (b. 1885), Bessie (1887-1920), Jesse (1890-1971), Oliver (1891-1977), Lena (1894-1981), Herbert (1898-1981), Lavada (1900-1989), Ida Fern (1902-1998), and Ione (1905-1993). Lucina died in October 1907 and, in 1910, Bessie was married, Jesse was a hired man, and many of her children were living with relatives. Herbert was living with his sister Bessie. Ida was living with Lucina’s sister Alice, and Ione was living with Lucina’s brother Zera. 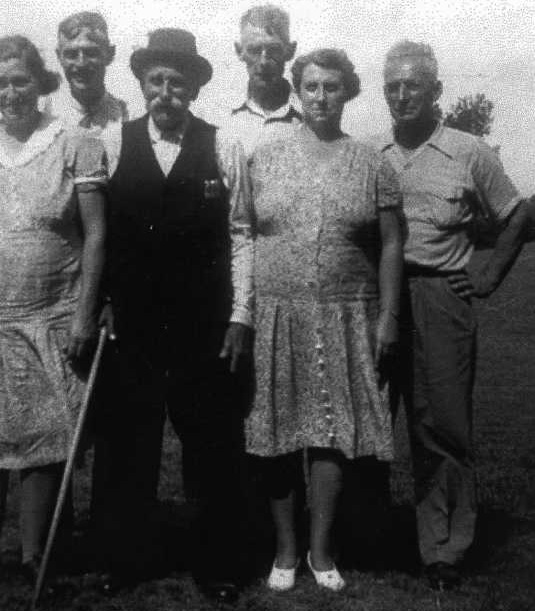 By 1940, John was living with his granddaughter Florence and her family in Raisin Township, Lenawee, Michigan (Florence was the daughter of Bessie). He died in Tecumseh on January 16, 1946. He and Lucina are buried in Tedrow Cemetery in Fulton County, Ohio. John Q. Clark with some of his children in the 1940s.